One of the largest fire risks in residential areas across the UK is arson, most commonly fireworks through letterboxes. 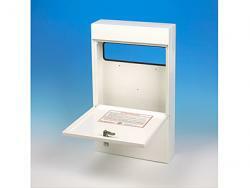 To protect yourself or your business against arson attacks, you should install an anti arson letterbox. 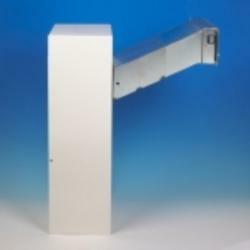 It is simply to fix behind a door and easy to maintain, as each box is manufactured from electro-galvanised steel with a white polyester powdered coating to improve durability, and ensure it is easy to clean. 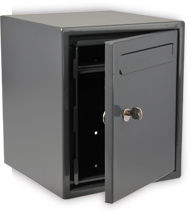 Our high security letterboxes maybe of interest, if you have concerns of vandalism. 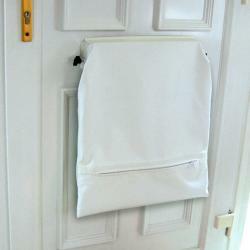 All our anti arson letterboxes include an anti theft baffle too, with secure locking systems, and 2 keys provided. So check out our range today, for exact design dimensions and further product specifications, please select the images below. 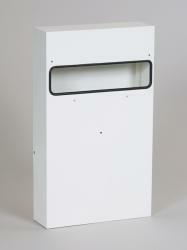 If you wish to find out more about our anti arson letterbox range, simply contact us.